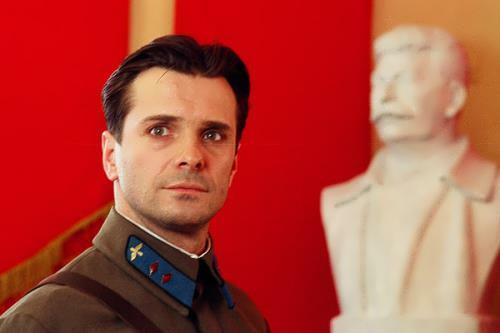 Sergei Astakhov is a talented Russian actor, best known for his roles in numerous television series. The future famous actor was born on May 28, 1969 in a small village Krasny Liman, Voronezh region. 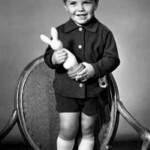 His father was a military man, and therefore the life of little Sergei was linked with the move. So, in early childhood, he and his family moved to Sakhalin. Sergei decided to become a soldier and was preparing to enter the Suvorov military school. At the last moment, he changed his mind and entered the local Polytechnic Institute, but left it a year later. 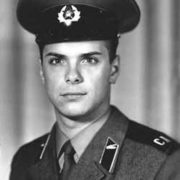 In 1987, Astakhov (then Kozlov, his real surname) went into the army. There he performed together with the military brass band. 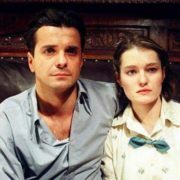 Two years later, in 1989, the young man returned to Voronezh and entered drama school, where he met his future wife, Victoria Adelfina. 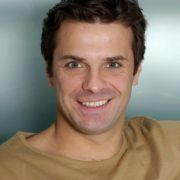 In 1999, at the age of thirty, the actor moved to the capital of Russia. The early years in Moscow were very hard. He worked in small theaters. Some time later Alexander Kalyagin invited him to join the Et Cetera theater. The role of Ferdinand in the play Intrigue and Love became his debut one. The first performance was successful, and soon the actor began to receive good roles. And already in 2001, Sergei became the winner of the prestigious theater award Chaika in the category Fatal Man. Despite the success the actor left the theater. The reason for this was the constant film shootings, which soon became the main source of the actor’s income. In 2009, the actor came to the scene of the Stanislavsky Drama Theater. In 2001, Astakhov debuted in the film Happy Birthday, Lola in the role of charming killer Bim. Debut in the movie was successful, and very soon Sergei began starring in various films and television series. From 2003 to 2006, the actor had starred in more than thirty (!) films. Soon he became a TV series actor. The most notable works of the actor were in such TV series as Ice Age, Another Life, Honor, Poor Nastya, Children of the Arbat, the Black Spades. In 2007, Astakhov starred in the feature film Korolev, where he played the role of the famous engineer. 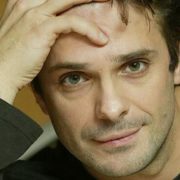 For this role Sergei was awarded the Audience Award at the popular festival Constellation. According to the actor it was his most favorite role of all. In 2014, the actor played in the incredibly popular commercial of the Siberian Crown beer. By the way, Astakhov’s partner in advertising was American actor David Duchovny. Also the actor played in the criminal melodrama My Father’s Son, in the four-part melodrama The Jinn, the action film Beyond the Edge and many others. 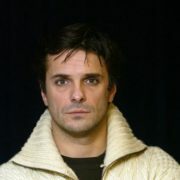 While studying at the drama school actor married his classmate Victoria Adelfina. They have a daughter. 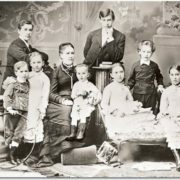 However, the family life was short-lived. There were a lot of rumors about actor’s love affairs. Moreover, recently the media reported that Victoria was his second wife. The first one was actress Natalia Komardina. But the couple broke up a few months after the wedding. In 2011 Astakhov had a love affair with popular Russian actress Elena Korikova. They say, in 2017 Astakhov had a love affair with Anastasia Volochkova.